Fishing in Georgia includes the state's more than 4,000 miles of trout streams and more than 12,000 miles of warm water streams teeming with trout, pike and more than a dozen other fish species that populate Georgia waters. If you can't wait to try your own luck fishing in the Peach State, here's what you need to know about getting your Georgia fishing license. Except for the three free fishing days (see details below), Georgia requires everyone fishing in public Georgia waters age 16 and above to have a valid fishing license. But don't worry, the cost is minimal, especially for residents who've lived in Georgia for at least three months. 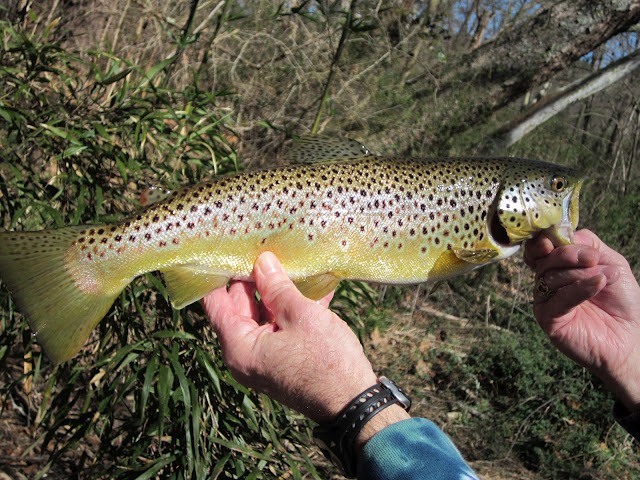 If you are planning to fish the rivers of North Georgia for trout, you'll need an additional trout license in addition to your fishing license. Here are fees. 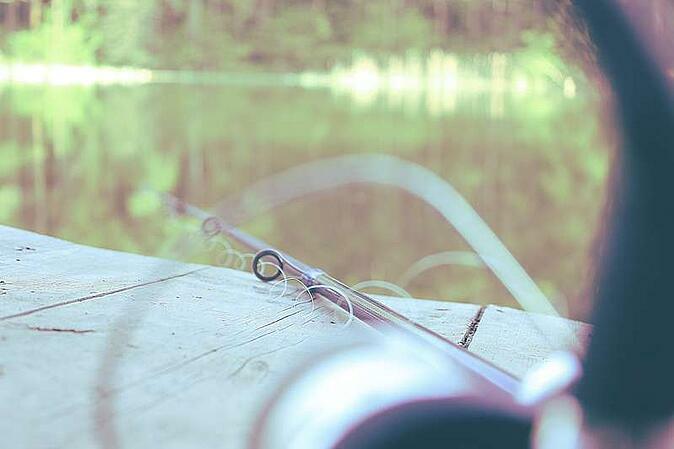 Residents of all ages can purchase a lifetime fishing license. The price for those age 65 and older is a one-time $35 fee. If you are a resident, you can save a few dollars by renewing your license early. These fees are subject to change, so we recommend checking out GeorgiaWildlife.com for the most up-to-date pricing. To encourage new fisher men and women, the state of Georgia offers three days each year when no fishing license is needed. You can learn more about these free fishing days on takemefishing.org. 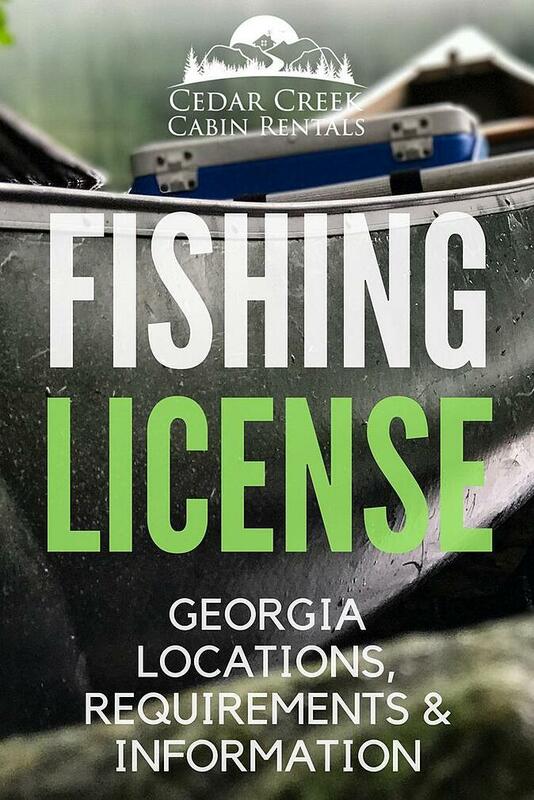 If you've made the decision to go fishing in the North Georgia, you'll need to buy your fishing license. Thankfully, the state has made it easy to get one. You can simply apply online or in person at one of the over 400 authorized licensing agencies. If you'd prefer to purchase your license in person, there are four locations around Helen Georgia where you can acquire one. Our preferred location is Unicoi Outfitters. 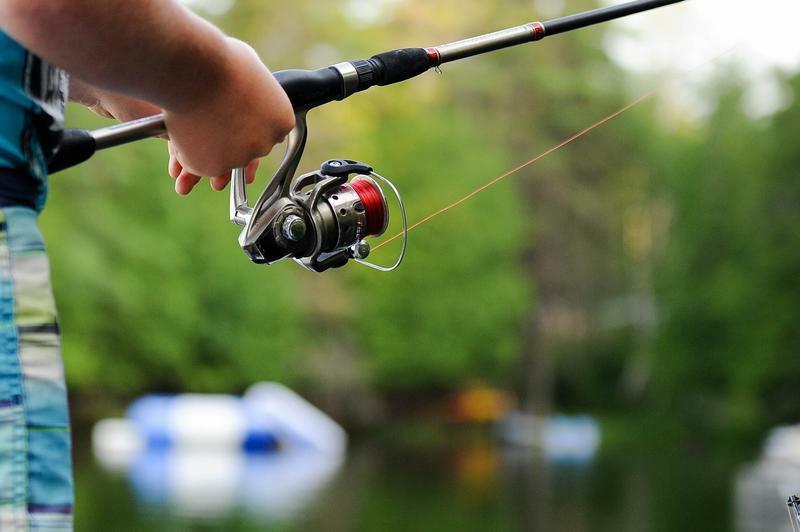 While at Unicoi Outfitters, make sure to stock up on fishing essentials at their bait and tackle shop or you may want to take advantage of one of their expert, guided tours on both private and public streams. Want to learn to fly fish? Take lessons at Unicoi, where you can satisfy all of your fishing needs. There are also three other physical locations you can visit to pick up your Georgia fishing license around Helen. There's plenty of fishing in the waters surrounding Helen. What type of fishing are you looking forward to on your next vacation to North Georgia? 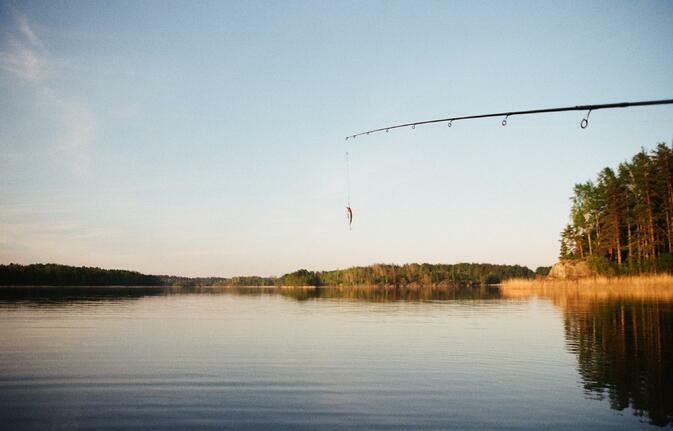 Georgia has an agreement with nearby states where residents can fish in Alabama, Florida, North Carolina, and South Carolina without purchasing an additional fishing license. Make sure to check into the details of these neighboring states for the fine details. In our fishing hub, you'll find articles, links, images, and videos that can help you have the best fishing experience in the Helen Georgia area. Here is a listing of these resources. 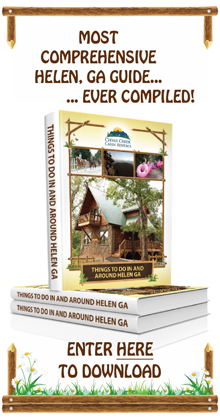 If you want to take advantage of some of North Georgia's best fishing hot spots, Cedar Creek Cabin Rentals has accommodations in and near Helen, Georgia. Plant yourself near the renowned Chattahoochee River in one of our properties. Our cabins offer a variety of comfortable amenities including fireplaces, spacious decks, whirlpool tubs and pool tables, all nestled in the scenic north Georgia woodlands. We have kid friendly and pet friendly cabins, to boot. If you'd like to see how comfortable and affordable a north Georgia fishing vacation can be, give us a call at 770 952-4130 or visit our online cabin rental search.